With the advent of the Internet, servicemembers are writing more than ever. But are they writing effectively and persuasively? Many are not. 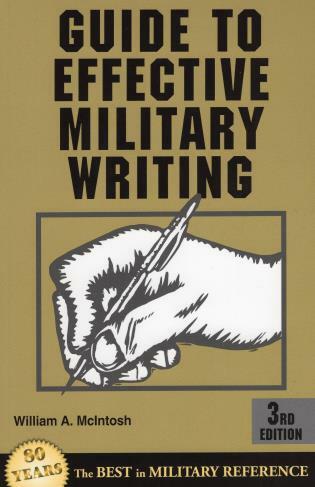 This revised, updated edition provides the basics of correct and effective military communication, with emphasis on substance, organization of content, and style, along with editing techniques and military and civilian formats. William A. McIntosh is a retired colonel who taught English at two universities. He currently resides in Bedford, Virginia.